I haven't been able to find just the right things for my vacation give-away, so I'm going to postpone the draw for a week, until August 7. I have a few little fun things already (including some yarn), but something still seems to be missing. This corner of BC where I grew up is so beautiful and interesting, I want to find things that really remind me of the things I love about this place. If you haven't already entered the give-away, please go leave a comment on that post, since it will make drawing random numbers easier and more fair. 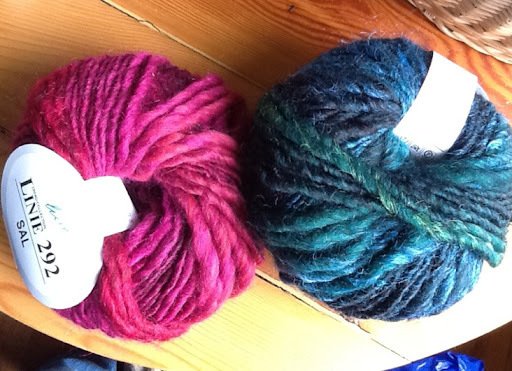 I picked up some yarn for a new design, and I'm really excited about it! What do you think this will become? There's still a few days left to enter my give-away, so don't forget to leave a comment on the previous post.